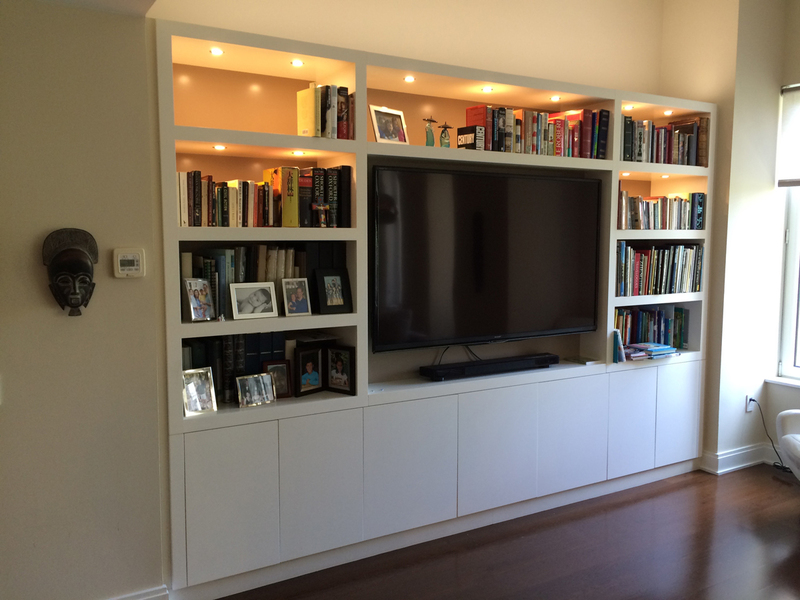 On this project I worked with an interior designer to create an entertainment center for a young family. They needed space for books, family pictures and their television, and they wanted hidden storage for the kid’s toys and video games. The grand scale allowed us to use thick dividers and shelves, which adds to the architectural feel of the piece. Recessed lights provide ambient lighting and can work to accent a favorite picture or piece of art and subtle uplighting provides warmth to the room.